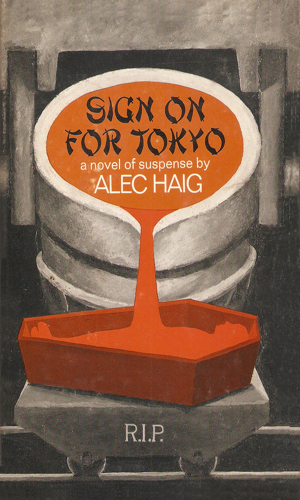 Alec Haig is a security consultant. He is one of the very best in the business which is why over the many years he has been specializing in helping companies keep their secrets secret and keep what belongs to them theirs and generally protect the client from all the dangers that unscrupulous people can present, he has a reputation as someone not to be messed with. In this three-book series, the adventures deal a lot with corporate shenanigans but touch continuously on international intrigue as often criminals in another country preying on a foreign multinational can use their own nation’s sovereignty to their advantage. 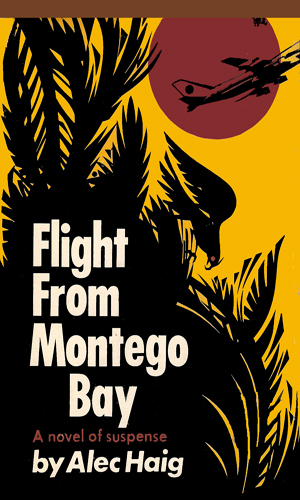 Haig, the main character of this eponymous series, finds too often that officials from the countries he has to go to realize that while the crooks may be crooked, what they are stealing can ultimately help the host country. Where allegiances lies can sometimes be interesting. 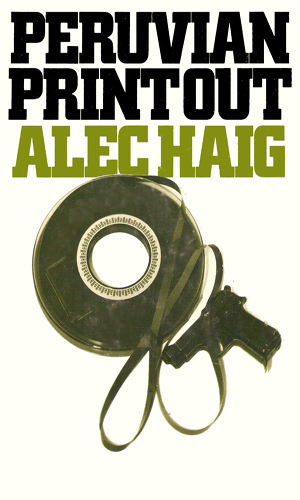 Alec Haig has considerable clout in these books because he is, after many years of being so good at his work, a director of the huge international corporation, Instecon, and is the Head of Security, although perhaps to keep a low profile, he has the title of Head of Tech. Sales (Misc), whatever that is supposed to mean. Haig works for a company, not a country, but the bullets shot at him and bombs headed his way and cars and planes and other vehicles sabotaged all might disagree, or at least show their impartiality as to employer. Luckily for himself, Haig is quite good at staying alive. Even the best agents, government or corporate, fall beneath the might of the bean counters. The process that the company Instecon has developed for steel manufacturing is the best in the business, so good in fact that a foreign competitor will do anything to get the lead technician to come to their side, even if he does not want to. Alec Haig must find the lure and sever it. When a huge international corportation like Instecon uses computers for all financial activities, even a small accounting glitch can be worth millions and someone has learned of such a glitch. Alec Haig heads to Peru to find the brains behind it. One of the thoughts that stuck with me after reading these books is how much fun it was to follow the memos between Finance and Alec Haig. It was only at the beginning and the end of each book but I got to wondering towards the middle of the third book when Haig had to do something that cost money how he would justify it on paper. The author deserves credit for that. He also deserves credit for creating a fun character that you would like to have more of. Alas, that is not to be. But the three adventures we do have can be enjoyed and should be. They are solidly crafted tales with believable bad guys and prose that never gets in the way of the storytelling. While it is a tad unbelievable that the head of security of a major conglomerate would be out in the field risking his life instead of sitting behind a desk ordering others to do so, once you get past that unlikelihood, the series is fun.